Over the past 170 years of development, Germany’s Siemens Group has been continuously improving energy efficiency. 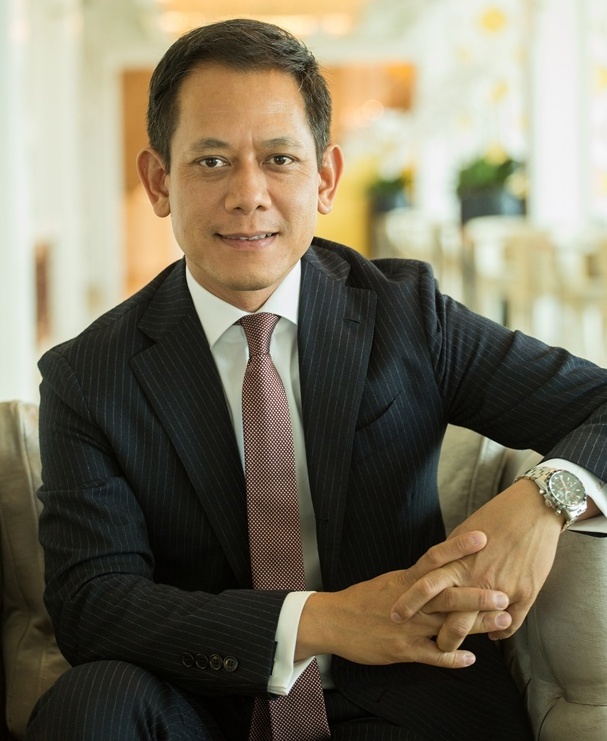 Dr. Pham Thai Lai, President and CEO of Siemens Vietnam, spoke with Vietnam Energy Review about how the firm can become the world’s first major industrial company to achieve a net-zero carbon footprint by 2030, and contribute to Vietnam’s sustainable energy mix and greenhouse gas emission reduction. Reporter: Sustainability is now regarded as one of the most critical and globally relevant topics on the political and business agenda. What are Siemens’ perspective on this trend, and the company’s actions? From Siemens’ viewpoint, sustainability encompasses three dimensions: Planet, People and Profit. It should protect our environment and conserve natural resources, that’s our planet. It should improve welfare and quality of life, that’s the people dimension. And thirdly, it should support economic growth and competitiveness, that’s profit. For almost 170 years, Siemens has had a clear commitment to think and act in the interests of future generations. We believe acting responsibly is the only way to achieve a balance between profitable long-term growth and the planet and people. We apply the principles of sustainability at Siemens across the entire value chain – from our suppliers, through our own operations, to our customers – by designing sustainable products and solutions. In the last fiscal year, our Environmental Portfolio enabled our customers and partners throughout the world to significantly reduce their carbon dioxide (CO2) emissions by 521 million tonnes. This amount is equivalent to more than 60 per cent of Germany’s annual CO2 emissions. As a result, they have been able to enhance their energy efficiency while increasing their competitiveness. But we want to achieve more – and we can achieve more. We have therefore decided to reduce our own CO2 emission footprint more quickly: Siemens aims to be the world’s first major industrial company to achieve a net-zero carbon footprint by 2030. Our goal is to cut our carbon dioxide emissions – which currently total about 2.2 million metric tons a year – in half by as early as 2020. To achieve this goal, we plan to invest €100 million ($117.35 million) over the next three years in order to improve the energy balance of our buildings and production facilities. Further, we have been actively supporting global initiatives to reinforce sustainability standards around the world and extending our know-how. We are fully committed to the targets and principles of the United Nations Global Compact. Reporter: Higher energy consumption is said to be one of the major causes for the increase of greenhouse gas (GHG) emissions. Can we meet the rapidly rising energy demand worldwide, and at the same time, reduce CO2 emissions? It’s ambitious, but yes, it’s achievable with the consequent usage of green and efficient technologies both at the energy supply side as well as at the energy consumption side. Cleaner energy generation is today possible via renewable technologies such as wind power or highly efficient gas turbines. On the other hand, it is important to control the energy consumption by integrating energy-saving products and solutions for example in buildings, industrial manufacturing or public transportation. This holistic approach will significantly reduce CO2 emissions and over life cycle helps to lower costs. Reporter: Could you please provide some further insights on the topic of energy efficiency? As the world- leading green technology company, what is Siemens offering? Dr. Pham Thai Lai: Siemens has developed a comprehensive Energy Efficiency Programme since 2011. This programme helps modernise existing infrastructures that leads to greater energy efficiency, fewer CO2 emissions and lower operating costs – all with a short payback period. The list of appropriate products from the Siemens portfolio is long and includes energy management and monitoring systems, automation technology for buildings and production processes, transportation, and energy-efficient drive systems. Monitoring systems play an important role because they reveal areas where energy is being wasted. Crucial factors are the use of efficient components and systems to recycle unused energy, such as waste heat. By increasing efficiency in these ways, companies will not only help reduce greenhouse gases and protect the environment but also help ensure their own well-being, especially in times of increasing energy prices. Buildings offer huge potential for energy savings—after all, they are responsible for 40 percent of the world’s energy consumption and 21 per cent of greenhouse gas emissions. Intelligent building technologies can dramatically increase the energy efficiency and comfort in buildings, along with the productivity of building occupants and companies, and thus reduce the demand for central heating. Energy-efficient and environmental-friendly transportation can be achieved with mass transportation systems, electric vehicles and hybrid buses. For example, Siemens’ advanced and innovative mobility solutions have substantially transformed the development of urban mass transit in Malaysia, driven by the organisation’s key focus strengths of greater comfort and energy efficiency and the benefits of reduced environmental pollution. In industry, there are significant savings to be made in energy efficiency and production. Electric engines, which are used for conveyor belts or pumps, for example, currently use almost two thirds of the energy used in industry. With optimised drive solutions from Siemens, the power consumption of industrial drives is reduced by up to 70 per cent -such an investment pays for itself through energy savings in less than two years. Reporter: Vietnam’s Intended Nationally Determined Contributions pledges to reduce GHG by 8-10 per cent by 2020 compared to its business-as-usual scenario. How can Siemens help Vietnam realise this commitment? Dr. Pham Thai Lai: We are the turnkey contractor and key supplier for major power plant projects such as Phu My 2-1 Extension, Phu My 3, Ca Mau 1 & 2 and Nhon Trach 2. 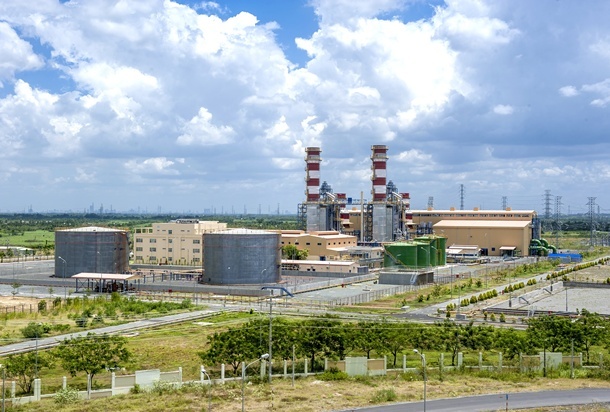 Siemens technology in combined cycle power plant helps Vietnam reduce nearly five million tonnes of CO2 emission per year compared to the world average. Efficient energy transmission is another important aspect in energy supply. Our high-tech equipments have been installed in many major substations of the national grid such as Son La 500 kV and Quang Ninh 500kV thus enabling electricity to be transmitted over long distances with lower loss. In addition, our energy efficient automation and drive products are extensively used in many countries’ major industries such as food and beverage, cement and metal. Siemens Apogee Building Management System and Algorex Fire Alarm System have been installed in many important constructions such as Bitexco in Ho Chi Minh City and the My Dinh National Stadium in Hanoi, helping our customers to reduce energy cost by an average of 20 to 30 per cent thus contributing CO2 emission reduction significantly. Above are just a few examples of how Siemens has helped Vietnam in terms of climate protection. But it’s certain that we can do more. For instance, Siemens ELFA hybrid-drive technology can help city buses to reduce fuel consumption by up to 35 per cent. Reporter: Constant flooding, severe draught and salinity intrusion are some emerging issues in Vietnam, which are considered as consequences of climate change. What can Siemens do to help Vietnam address these challenges? Vietnam is among those countries that are most vulnerable to climate change. There are more and more news about historic flooding, draught and salinisation. Siemens has a broad portfolio for urban infrastructure that can help cities to become more resilient and sustainable. Solutions like smart grids and software solutions for rail automation, traffic management, evacuation management and building management systems contribute to minimise the impact of natural hazards. Intelligent automation of infrastructures is a key success factor in making systems more flexible and easier to control and coordinate. Siemens Automation, which is used extensively worldwide including the Marina Barrage of Singapore, can help with flood control and creation of a freshwater reservoir for cities like Ho Chi Minh City. And whether desalinating seawater, treating drinking water and wastewater or managing water networks and water transportation – our technological solutions offer assistance with everything from facility planning to system monitoring and optimisation. Reporter: What do you think about the role of the Vietnamese government and the private sector in the fight to climate change and in environment protection? In my view, the spirit of sustainability is about thinking and acting together, as partners. More than ever we – business and politics must join force to act sustainably – with respect to the economy, the environment and society. I believe that the private sector has as much responsibility as the governments do, if not more, to actively engage in efforts to reduce GHG emissions and to help lead the transition to a low-carbon climate-resilient economy, as well as in ecological protection. I think that private sector involvement can be enhanced, if governments are able to facilitate higher flows of clean energy investment, encourage business practices with a lower-carbon footprint, as well as to develop regulatory environment that encourage renewable penetration and energy efficiency. It’s time for sustainability for today and future generations!